'89 DODGE COLT GT TURBO. Not crazy about the style but it would be nice for a FMIC. 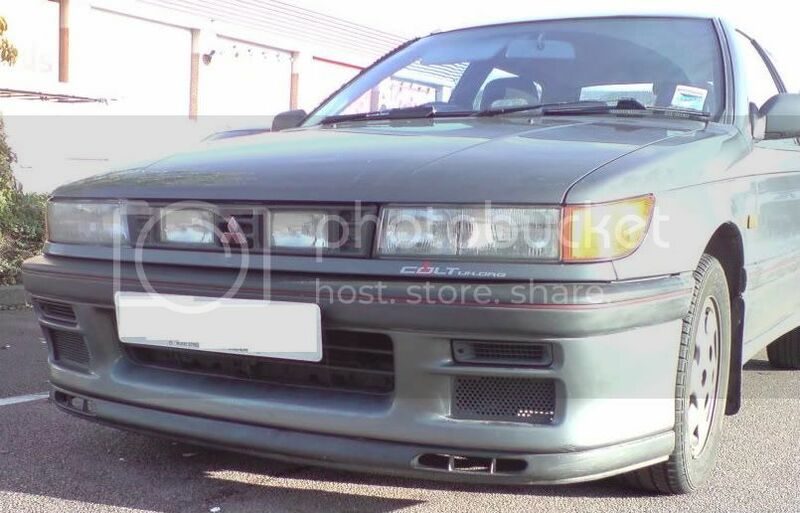 yeah well just showing you what I found...I don't see what the difference is,people on here have bumpers from isuzu and other cars maybe they want a kit. Thanks for sharing! Wonder if they still stock those or have them available? My co-worker will be very interested in the Diamante kit also pictured there. Last edited by mirage760 on Wed Jul 28, 2010 10:18 pm, edited 1 time in total. The copyright on the page is from 2003. It would be a longshot but they might still have them. It's a factory bumper for the UK/Germany/NZ/Japan models. With a Renault Laguna lip below . The grill with the light, it's a rare option . found one in da junkyard it was in a some what good of condition .they would actually look good on a plymoth.